Pour a cup, open the covers....this is your cup of tea! Tea for two, tea for three...tea for more! Hot or cold, sweetened or black, alcoholic or herbal, caffeinated or decaf: the drink may be ancient, but tea culture is trendy. More and more people are discovering the elegance, versatility, downright good taste, and even the health benefits of this delicious beverage. And they want to find out even more: the different flavors, the best methods of preparation, and the fun ways to enjoy a cup at home, with others at a party, shower, or any other special occasion. 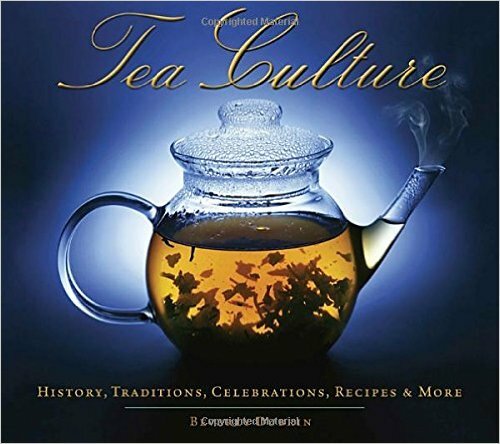 Every page of this book is infused with answers to these tea-related questions. I love a good cup of tea, or as some English would say, a cuppa. I like to drink it when I’m ill. I like to drink it when I relax. Aside from an alcoholic beverage, nothing says relaxation like a good cup of tea. There’s something comforting about a good cup of tea. Want to learn all about this fascinating beverage that keeps tea drinkers coming back for more? I did and that is why I read this book. It is also why I am writing this review to share with you now. As the description so aptly puts it, “pour a cup, open the covers…” and read because this book is “your cup of tea”. The pictures alone worth buying this book for. Overall, an enjoyable book that I will read more than once. Beverly Dubrin is a food journalist and tea-lover. For over 20 years, she published her private newsletter, Beverly Dubrin's Where-To-Guide, about food, shopping, and travel, and now authors Beverly Dubrin's Where-To-Guide blog. A graduate of Brown University, she previously handled Information Technology for several large American computer manufacturing companies. Beverly lives in Walnut Creek, California. Fall is in the air. Settle down with a nice cup of tea. And a book. Please note: this book was originally published in 2012. And it's just as good today as it was way back then. Are you a tea drinker? Than this book is for you. Durbin explores the very earliest origins of drinking tea in Asia, shows readers elaborate tea ceremonies (some still used today), demonstrates the proper way to make a cup of tea and the many and varied ways it can be used. For health, well being, as a sleep aid and as a party beverage second to none, learn the secrets of the world’s most popular beverage.